- Initial Moving Consultation - Our free, on-site consultation will help assess your goals and needs. We will listen, address your concerns and share our years of relocation experience to determine the best way to make your move smooth. 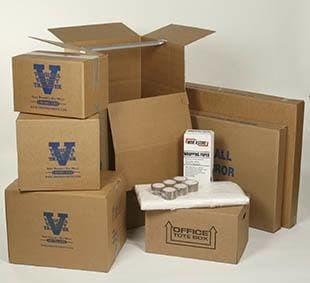 - Boxes & Moving Supplies - Our Varsity Store offers a full selection of boxes and moving supplies at each of our locations. - Packing & Preparation - We offer full or partial packing by our trained staff. Some items may require special preparation, including crating or professional preparation. If you plan to do the packing yourself, see our Packing Tips. - Unpacking & Placement - If you are in need of a little extra assistance, we can unpack boxes in addition to our standard set up and placement of the furniture items. - Local Moving - Whether moving an entire house or just a few pieces, residential moving is our specialty. Our experienced, professional staff is both careful and caring. No job is too small or too complicated. - Long Distance Relocation – Nationally-licensed in the continental United States, we can move one piece to Florida or an entire home from one state to another, and anything in between. 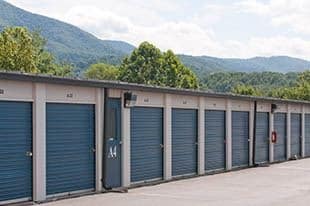 - Self Storage Facilities - Virginia Varsity Self Storage has a huge variety of storage options at each of our locations, including premier climate controlled storage. - Furniture Reallocation & Dispersing - We are equipped to serve you in handling or coordinating your donation, disposal, consignment, and auction needs. - Estate Settlement/ Downsizing - We specialize in handling sensitive situations that require compassion and professionalism to help families navigate delicate life changes. - Customer Service - We are well-known for our customer service and are committed to complete customer satisfaction. Whatever the need, we will find the best way to take care of you.